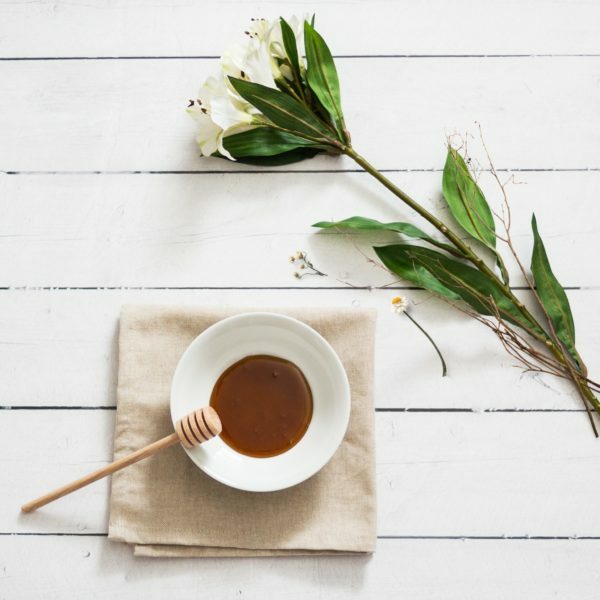 If you're like us and you're well versed in natural skin care ingredients, then you know that honey isn't just for biscuits anymore. We've always known that it is a great sweetener, loaded with natural antioxidants. But for us in the skin care world, we also know that applied topically, it can help moisturize and nourish the skin, and even provide anti-aging benefits. A sweet, sugary solution made by bees, honey is made up of fructose, glucose, water, oil, and special enzymes. Raw honey in particular, which isn't filtered, strained, or heated above natural hive temperatures, is particularly rich in B vitamins, vitamin C, and minerals like magnesium, potassium, and calcium. It also contains proteins, fats, amino acids, and bioflavonoids. 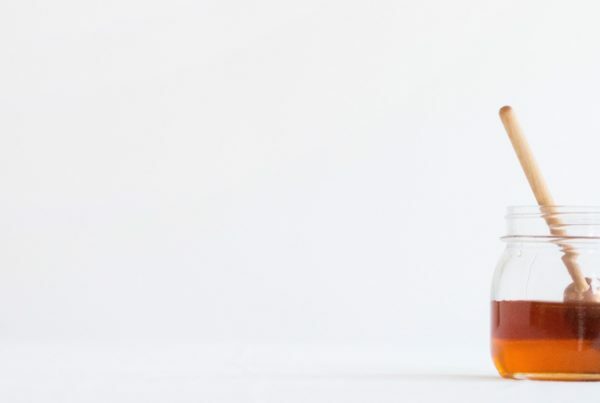 As opposed to regular sugar, honey's combination of glucose and fructose delivers immediate as well as long-term energy—making it a better sweetener for diabetic patients. In addition to being a natural energy-booster, honey has been found in research to improve symptoms of upper respiratory tract infections in children and teens. Scientists have also found that Manuka honey is great at killing the antibiotic-resistant bacterium Staph aureus. Honey also seems to contain friendly bacteria, similar to yogurt, which may explain why many people use it to aid digestion and ease stomach discomforts. When it comes to skin care, however, honey really shines. Because of its ability to hold onto water, it makes a potent moisturizer, as it hydrates without creating an oily feel. Antioxidants protect the skin from environmental stressors, while its natural properties can help those with sensitive skin. It's also great for oily skin, helping to keep pores clean and reducing oiliness. Honey is a natural humectant, which means it has the ability to absorb moisture from it's surroundings. Humectants serve three major purposes in cosmetics — they help moisturize, absorb moisture from the environment, and pull moisture in. In addition to all this, honey also contains gluconic acid, a mild alpha hydroxy acid that gently exfoliates and gives a brighter look to the tone of your skin. Regular use can help to reduce the appearance of age spots. Honey is especially beneficial in face masks when left on your face for 10–20 minutes. As you sit back and relax, the natural components go to work cleaning out pores, hydrating your skin, reducing the appearance of fine lines, imparting protective antioxidants, and delivering nutrients way down deep—all without a bit of irritation. Do you use honey in your skin care? What benefits have you noticed?